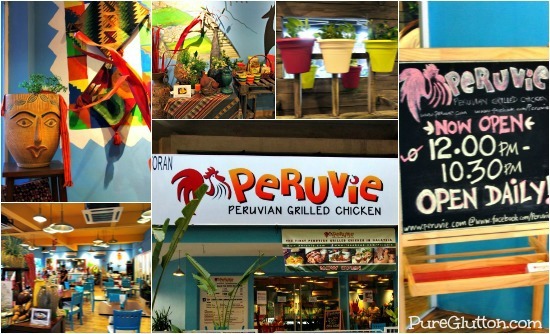 There aren’t that many Latin American restaurants around here… so when I was invited to check out a new place called Peruvie, my interest was certainly piqued. 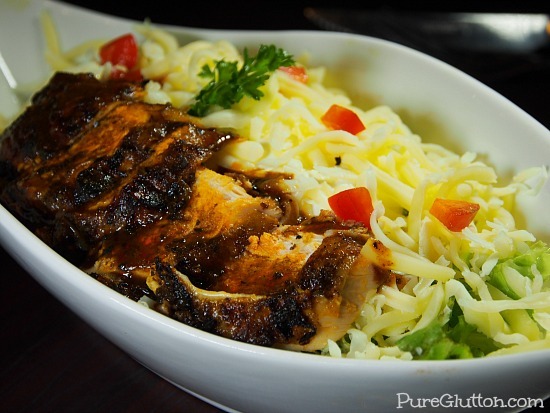 The mainstay of Peruvie is Peruvian-styled grilled chicken. I do love to sink my teeth into a good grilled chicken now and then. 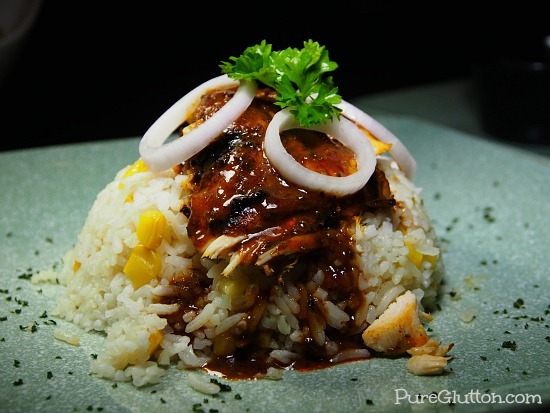 Peruvie, owned by the same management as its next-door neighbor, Penang Village is located in Taman Tun Dr Ismail. You really can’t miss its bright and cheerful blue facade. Inside, it’s just as bright and colourful, with walls painted blue and orange, adorned with psychedelic-hued pictures, fabric hangings and ethnic-designed ornaments. You also can’t miss the wooden chickens arranged on a table together with other interesting deco items. In between spoonfuls of their simple comforting Chicken Soup (RM6.90) and sips of their non-alcoholic Sangria, we checked out their menu which lists out the portion sizes of their grilled chicken, side orders and desserts. Very straightforward and fuss-free… perfect for some casual dining when you don’t want to be muddled by too many choices. 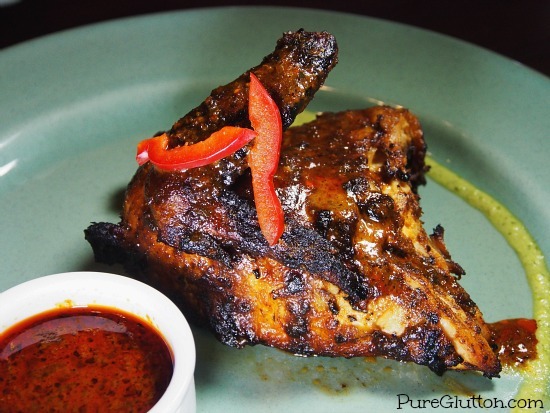 For the grilled chicken, you can choose between the Original and Spicy versions. 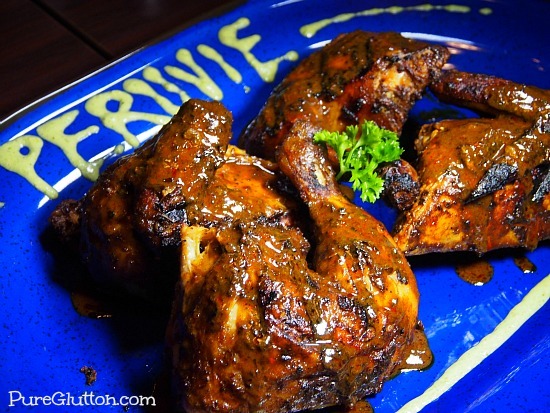 The Peruvie Chicken has first been marinated in a rich mixture of herbs – paprika, cumin, oregano and black pepper. It is then roasted before being grilled for that appetizing smoky and charred flavour to surface. 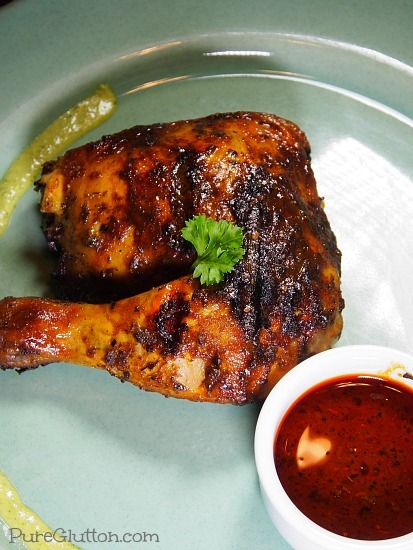 The chicken is kept moist and tasty by basting it with its own roasting juices during the grilling process. A la carte grilled chicken starts at RM9.90 for a quarter chicken, RM18.90 for half chicken and RM36.90 for a whole chicken. 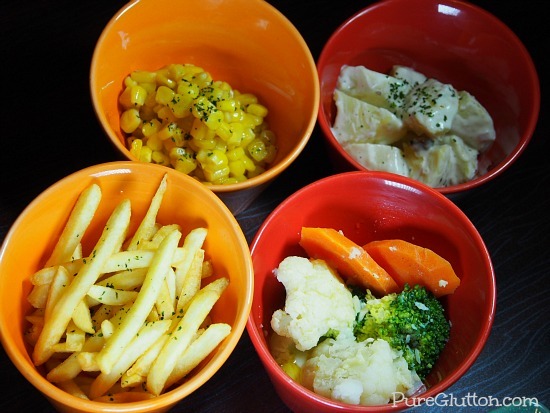 There are also sets which comes with 2 sides: RM15.90 for a quarter chicken and RM24.90 for half chicken. 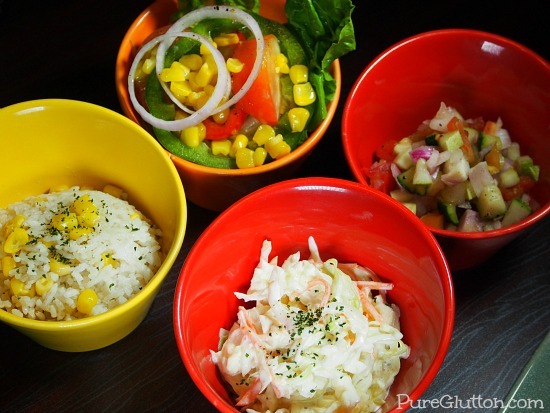 There is a good variety of sides to choose from: French fries, coleslaw, butter sweet corn, corn coconut rice, potato salad, garden vegetables, tomato & cucumber salad and fresh salad. Each side costs RM5 on its own. I like their Ceviche (RM10.90). 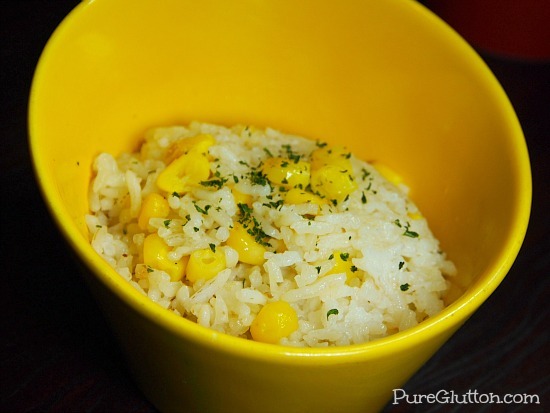 It is, after all, Peru’s national dish. 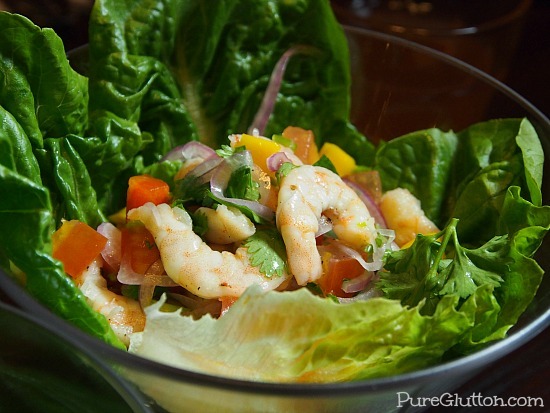 Peruvie’s version uses marinated shrimp with lemon juice and served with cilantro, onions, peppers and diced mango. 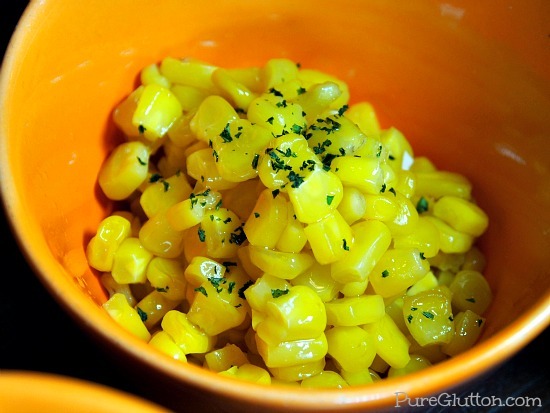 Very crisp and tangy, it’s a good appetizer to accompany your meal. 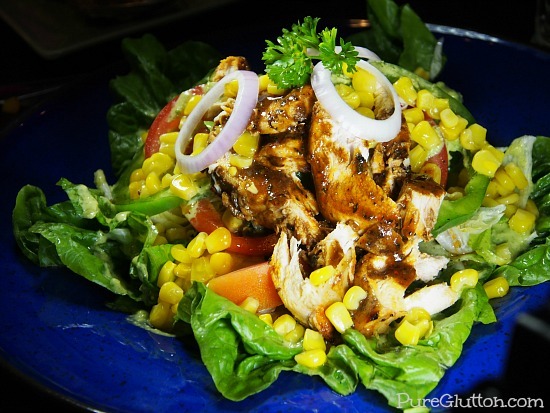 For the health conscious or light eater, you can opt for their Chicken Salad (RM14.90) – a substantial serving of grilled chicken strips piled on top a bed of crisp lettuce, mixed peppers, corns, onions and cherry tomatoes. 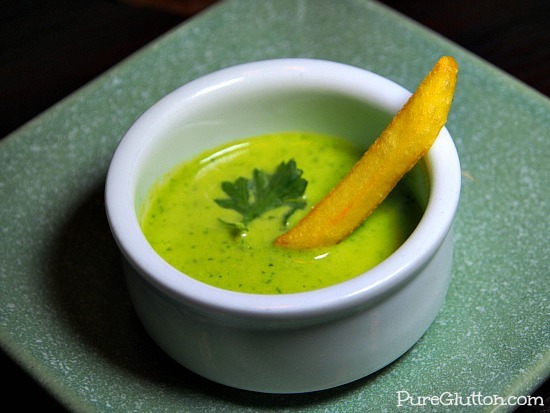 The dressing is none other but their signature Aji Amarillo Sauce, a greenish thick sauce made from blended coriander, green peppers and some chillies for that added zing. 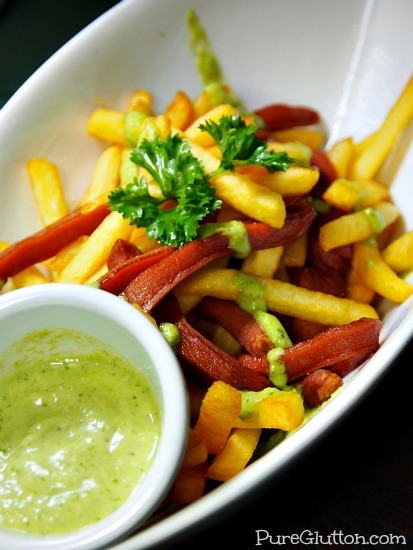 This sauce is also great for dipping your French fries! The saucily named Peruvie Naked Burritos are actually burritos without the wraps. 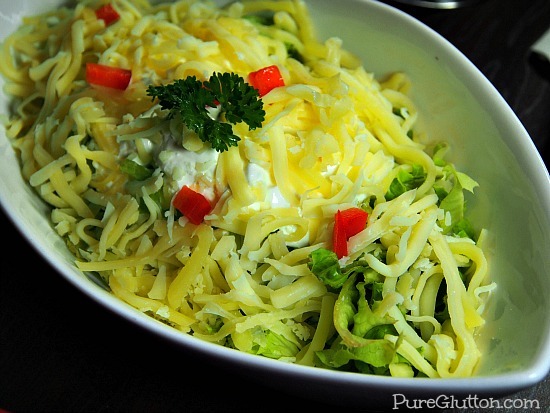 It’s a dish of mixed peppers, cucumber & tomato salad, chopped lettuce, sweet corn, spiced beans, rice, sour cream and cheese. 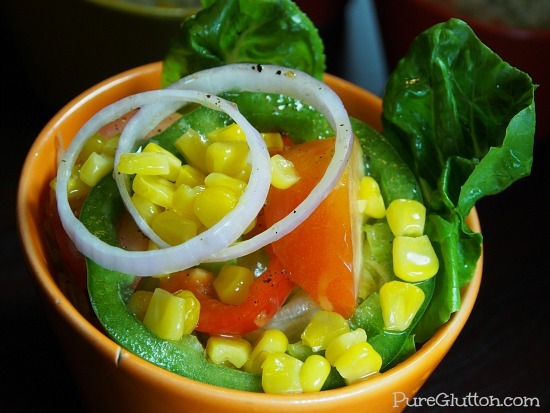 The vegetarian version is RM12.90; you can add on grilled chicken for RM16.90. 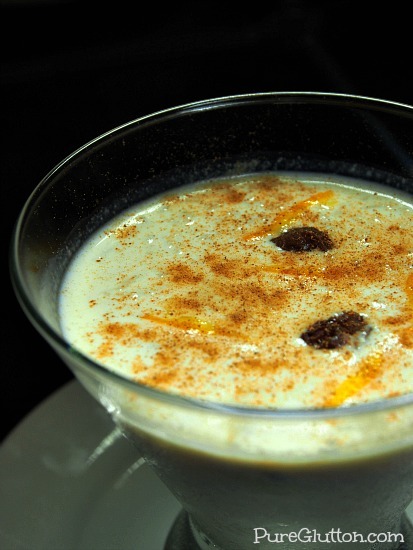 We tried 2 Peruvian-style desserts: Arroz Con Leche – cinnamon and vanilla rice milk pudding with raisins (RM6.90) and Crema Volteada Con Quinoa – traditional Peruvian baked custard with quinoa (RM7.90). I’m not too keen on the former as sweet rice milk pudding is an acquired taste, I believe. The latter is pretty interesting and the grainy quinoa blends quite well with the custard. 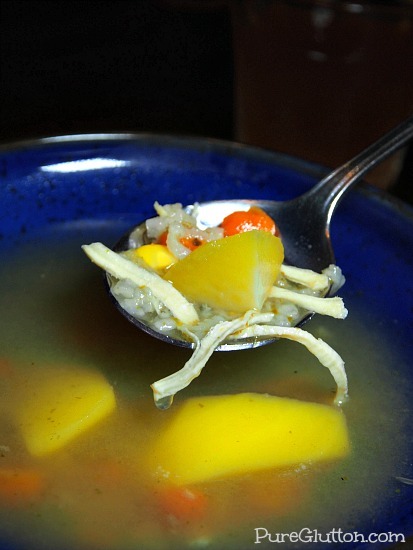 I have not tried authentic Peru food and I am quite curious to check this out. Yes, ceviche is healthy and non-fattening, haha! The chicken was indeed juicy and well marinated. 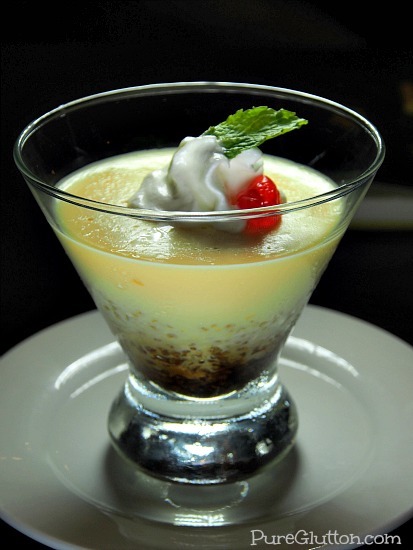 The cream and quinoa dessert was good too. But I felt the ceviche was a let down as Peruvian ceviche is suppose to be made with raw seafood. But theirs was with boiled prawns. Quite sad. Do we need to do reservation before hitting peruvie? ?